Is Truway easy to install? Can I use a different cellular network with the device? Will Truway drain my vehicle’s battery? What data does Truway capture from my vehicle? Why do you store it? What is Truway GPS Service? 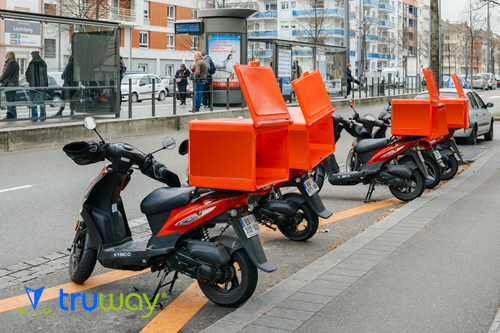 With Truway you can locate, monitor and know the time it takes your messenger between each trip into the city, from your phone or computer, with the user interface Truway Location Messenger, you’ll have visibility, tracking, location, alerts and more. The Messenger Location allows you to see geographically times and routes of the operation with your messengers in a single platform, providing a solution to your needs. Know in real time, how much time your messengers take and locate them easily. Increase quality control and handling of your messengers, reducing vehicle maintenance costs. Remotely monitor your transport fleets and validate their productivity and eficiency.